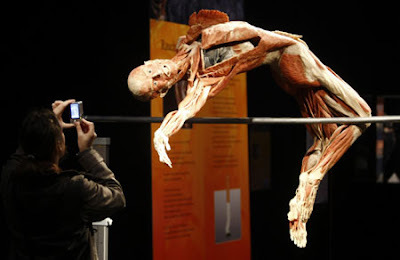 Body Worlds: Dr. Gunther von Hagens, Body Plastination at Body Worlds. 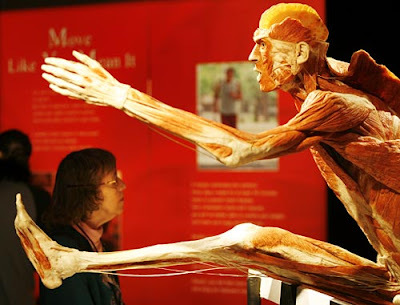 Dr. Gunther von Hagens, Body Plastination at Body Worlds. 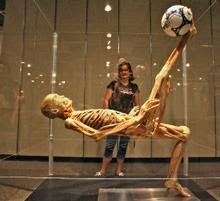 Football, Sockerball player at Body Worlds. High jump man at Body Worlds. 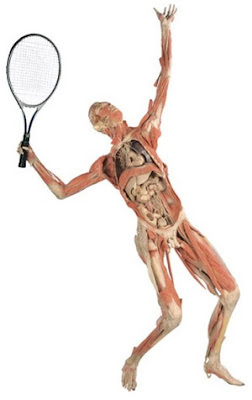 Man playing Tennis at Body Worlds Exhibit. Jumping man at the Body Worlds Exhibit. 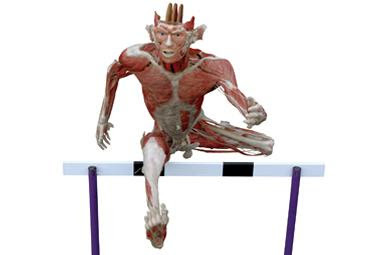 Side view of the jumping man at the Body Worlds Exhibit.